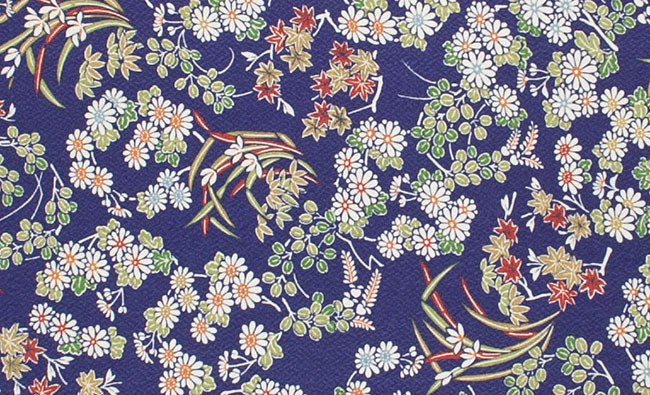 Kimoyes item: 19014 - Lightly textured deep blue silk with colourful floral design. Lightly textured deep blue silk with colourful floral design. Longer lengths may need to be supplied as separate pieces.